Well, there seemed to be some interest in doing a series on the various subgroups of Islam, so we'll get to work on that, with some preliminary thoughts tonight.We need to begin with a significant point of consideration: Are divisions within religions based on religious issues? My answer would be that sometimes they are, but that many times (and I'm not making an exception for Christianity here), divisions into different subgroups, schools, denominations, sects, etc. are the result of conflicts on power and authority. For example, did the Eastern and Western churches really split over the use of the term "filioque" ("and the son") in the Nicaean Creed? Well, yes and no. "Filioque" was the object of contention, with the West saying it was acceptable, and the East saying it was not. But by itself that's hardly a cause for division. The division ultimately occurred because neither side was willing to submit to the other, which is a matter of authority, not of theology. In the case of Islam, this point is particularly clear right at the outset because the largest split within Islam, that between Sunna and Shi'a, was based on the question of who should be the successor to Muhammad, with any doctrinal differences that came up between the two groups, clearly being secondary developments. We'll come back to that matter. For the moment, I'm going continue with a rather swerving and circuitous introduction. I wonder to how many people reading this the term "Training Union" means anything. It used to be a Southern Baptist Sunday evening activity. For the time period I'm thinking of, in my church it functioned as "youth/college & career" group meeting. During one quarter we pursued the topic of world religions and had members of different religions represent their beliefs to us. One visitor was a Muslim, and I remember a few things that he said. He made the claim that in Christianity there are many different denominations, but that Islam does not have divisions like that. True Islam is one and is unified. You can take a statement like that in one of two ways. You can take it to mean that there really are no divisions in Islam, or you can interpret it as claiming that, insofar as there are divisions, all but one are not true Islam. This is a rhetorical move called strategic ambiguity. The visitor wanted us to hear the first meaning, but--if challenged--he could always retreat behind the second meaning. Believe it or not, I cannot remember whether I brought up the division between Sunna and Shi'a. Even though this was a long time before I would take serious interest in the study of world religions, I was pretty conversant with Islam already, thanks to the writings of Karl May. My memory is that there just was no opportunity to ask questions, let alone debate. Regardless, though, the gentleman made the statement, probably feeling pretty secure because at the time (late 1960's), it was unlikely that Americans were familiar with the Sunna-Shi'a distinction, let alone further divisions in Islam. Nowadays, he would not have gotten away with that statement. Maybe the supposed dumbing down of America just means that nowadays we know different things than previous generations did. I'm intrigued by the idea, putting the matter crassly, that the representative of a religion may say whatever he thinks he can get away with. This sounds terrible, but I have experienced it many times. It is an attribute of humanity, not of any one particular religion. People advocating their religions will most likely try to say as much as they can of what you want to hear, leave out the parts that might disturb you, and improve on their story a little bit if they know that you don't know any better. Doing so is, of course, dishonest, but it's the kind of dishonesty one can slip into without malicious intent. After all, they are just trying to get you to see the positive side of what they're promoting. So, here's the plan. We will continue with the occasional passage from 1 Kings as well. In terms of the groups of Islam, let me draw up a quick chart of what we need to cover. I know I'm leaving out some things, but I don't want to tie myself down too thoroughly now. Thanks for the comments on last night's blog posting. It's interesting that, thanks to "Networked Blogs" comments can appear in different places rather than just on the blog, for example, underneath the Facebook notice. I was expecting or maybe hoping for a one particular comment. I had accidentally left out a specific observation that I had intended to make, and then when I realized my omission, rather than add it to the entry, I figured that maybe someone else would make it as a part of the feedback. I'm referring to my observation that there are times when representatives of a particular religion may stretch their claims a little bit further than is warranted because they know that they can get away with it. The observation screaming to be added is that Christians are not exempt from employing such strategic ambiguity themselves. We are not guaranteed a happy, carefree, and prosperous life, and so we should not create the impression for non-Christians that if they receive Christ as their Savior, they will automatically qualify for a happy, carefree, and prosperous life. I suspect plenty of people were having that very thought as they were reading my comments, but just wanted to leave such meddling to me. Jared raised the question of whether succession in Islam is an issue of authority or theology, presumably because I had made a rather blanket statement to the effect that the largest division was purely based on the question of who would be successor to Muhammad, which could be a theological issue just as much as an authority one. That's a good point, but in this case theology was initially put to the side in favor of fitness to lead. Clearly, it is naïve ever to think that the formation of one group or one division within a larger group has only one cause; there is always going to be a confluence of a number of causes. Take the Protestant Reformation as an example. Humanly speaking, Luther would not have had the success that he did, had he not enjoyed the support of the German princes who were really tired of having all of their good money drained southward to Rome where it was spent on artists who helped the popes live in greater luxury. Furthermore, the emergence of a middle class and the growth of cities, not to mention the invention of the printing press with movable type by Gutenberg all contributed to the Reformation. Nevertheless, it would be silly (at least in my view) to deny that the religious element was at the center of the Reformation. On the other hand, whatever other factors may have been present, it is pretty clear that the initial designation of a successor to Muhammad was a matter of authority and political power and not theology. It would become theological very quickly when similar decisions needed to be made, but not the first time around. Muhammad had been both the spiritual and temporal leader of his people. When he escaped from Mecca (the hijra in A.D. 610), the people of Medina established him as their ruler. Consequently, the growth of Islam and the growth of territory under Muhammad's government were coterminous. To become a Muslim is never just an individual matter of adopting a personal faith, but you also join the community (the Umma), which is a political entity. So, by the time that Muhammad died, there were many people who had converted to Islam, and Muhammad was ruling politically over the majority of the Arabian peninsula already. Therefore, his death was a religious matter because the prophet was now gone, but it also was a matter of someone having to take over the political leadership of the Umma. The theological questions on the sideline were 1) should Muhammad be worshiped as deity now that he was departed from the earth? And 2) should his successor be a prophet as well or just a political figure? Abu Bakr, one of Muhammad's several fathers-in-law and long-term friend, quickly disposed of the first question by declaring that Muhammad was dead and Allah was alive, and that Allah should be worshiped, but not Muhammad. The second question was not quite as easy to deal with because Muhammad's son-in-law, Ali ben Talib, was claiming that he had beendesignated by Muhammad as his successor, and also that he had inherited the same spiritual powers that Muhammad had. Additionally, this same Ali was the closest one could get to a male descendent of the prophet. He was only a son-in-law, but there were no sons that survived into adulthood. Here, then, is my point. When the short period of turmoil was over, the decision had been made on basically pragmatic grounds. Despite of all of his claims (or maybe maybe even specifically because of them), the majority of people thought that he would not make a good leader. Instead, the consensus was that it should be Abu Bakr who would be the caliph (successor). This meant that the choice had gone in the direction of finding a new political leader and not looking for another prophet. Muhammad was supposed to have been the very last and final prophet, and so Abu Bakr was viewed as caliph but not as prophet. That choice should not be construed along the lines that Abu Bakr would be a purely secular leader; he was a companion of Muhammad's and he was considered to be "rightly guided." Nevertheless, the bottom line is that Abu Bakr was chosen on the basis of a kind of informal democracy, based on leadership quality, and Ali was bypassed, not because he did not have outstanding credentials as a Muslim, but because he was not perceived as a good leader. Now, the word for "consensus" in Arabic is Sunna, and the dissenting party, those who thought that Ali should become the caliph, became known as the Shi'a. I mentioned last night that I believe that Americans today are certainly familiar with the fact that there are at least two main groups of Islam, Sunnis and the Shiites. And now you can see that this division really was based on the question of successorship to Muhammad. It so happened that when the United States first came into violent conflict with Muslims in the post-Teddy-Roosevelt era(taking over the American Embassy in Tehran in 1979, bombings and skirmishes in Lebanon in the mid-80s), those Muslims were Shi'ites, and so some people have reasoned that Shi'ites are militant Muslims and Sunnis are more moderate Muslims, but this is not at all true. Sunnis are the ones who were part of the larger consensus to go with Abu Bakr as the head of the Islamic society, and Shi'ites are the ones who believed that Ali should have become the successor to Muhammad immediately. There are violent and intolerant groups on both sides, and you cannot distinguish between the two on the basis of how extreme, radical, or prone to violence the groups are. More on the difference between the two groups next time. I stressed last night that the origin of the Sunna and Shi'a split lay in the purely this-worldly question of who would make the better leader--the calm, reassuring Abu Bakr, or the excitable and unsteady Ali ben Talib? Even though Ali made some grandiose claims about himself, and even though he was married to Muhammad's daughter, the consensus (sunna) among the people was that Abu Bakr was the right choice. Nevertheless, differences in theology and practice did start to develop after the split. Herewith are some of the points of distinction of the Sunna in general. 1. The Sunnis have always been in the overwhelming majority, and, thus, have come to represent Islam in general in most people's minds. It is easier to state where the Shi'ites are than to enumerate all of the places populated by Sunnis. Shi'ites are the majority in Iran and Iraq, Lebanon (as of late), Yemen, and certain pockets of what is now Pakistan. Unless something slipped my mind, that's it: everywhere else, Sunni Islam is dominant. The Sunna does not have a central authority. There is nobody equivalent to the pope; nor is there an annual world-wide convention to which all of the Islamic countries send messengers to decide important questions. 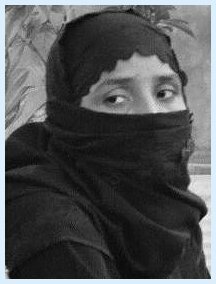 Questions are addressed locally by Islamic courts, who issue fatwahs, viz. judicial decrees. The word "fatwah" may have negative connotations for us because we have come to associate it with events such as a fatwah being issued to execute Salman Rushdie, but actually it's a neutral term, viz. the outcome of a judicial proceeding. Note, then, that the subject matter taken up by these courts is essentially legal, not theological. Sunni Islam developed four schools of law (shari'a), at which we will look in more detail later: the Hanifite, Malikite, Shafite, and Hanbalite schools. For now let us just say that they differed from each other on the basis of a) how much proportional weight they distributed between the Qur'an and the Hadith, and b) how precisely and literally they interpreted these two sources of authority. Also, I will give away that the Hanbalites school was the last one to take form, and it was the most rigid of the four. With a few exceptions, the caliphate was constituted by Sunni Muslims. Exceptions are the brief time that Ali held the office (more on that later), and then, much later, the Fatimid dynasty who ruled from Egypt. But even during their time of ascendancy, there still was a Sunni caliph in Bhagdad and another one in Spain. By the points that I have chosen to highlight for the Sunna, you can probably infer what some of the traits of Shi'ite Islam must be. As already indicated, Shi'ite Islam is a minority . I believe that about 11% of Muslims are Shi'ites. The highest claims are ca. 15%, so we know that there are probably fewer and definitely no more than that. 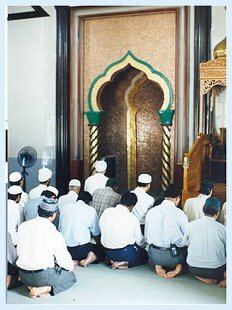 Shi'ite Islam has a central authority, the Imam. It's hard to find a description of the Shi'a that does not liken the position of the Imam to that of the pope. I won't do that since it's been done so many times before. The Imam is the undisputed leader and his decisions are final. The Imam comes out of a small group (10-12 people) the Ayatollahs. Since I decided not to push the analogy with Roman Catholicism, I won't stress the idea that this arrangement looks an awful lot like the cardinals in the R.C. church. Underneath the ayatollahs there are the lower-level scholars and interpreters of shari'a, the mullahs. There are a few other matters that distinguish the Shi'a, but we need to look at a few more historical events next time before they will make sense. To understand the various Shi'ite groups we have to look at various events. By consensus (sunna) Abu Bakr was the preferred choice for caliph (successor to Muhammad) over Ali ben Talib. The same consensus passed by Ali twice more, and when he finally got the office, he had stiff competition from a man named Muawiyah. Who's that guy? you ask. Well, aside from any other qualification, he was of the clan of the Umayyads, as had been his two predecessors, Umar and Uthman. So, M. and any number of Muslims, particularly those who were Umayyads, had come to think that the caliphate should be the property of the Umayyads. Needless to say, there were a large number of other people who disagreed, including Ali. Since I don't want to introduce a new group at this moment, I'm just going say right now that Ali was murdered, and that this event made the division between Sunna and Shi'a final. So, the question of who is going to be the caliph of the Sunna has been settled because for another hundred years or so, the Umayyads are going to supply a dynasty of caliphs. But now there is a new question: who is going to be the successor to Ali? At this point we see the distinctive theology of Shi'ite Islam emerge. Just like Ali, his successor must have the same spiritual power and designation. Who better to fulfill that role than Ali's older son (and, thereby, Muhammad's grandson) Hassan? Hassan was acclaimed as Imam (which here means the main leader of the Shi'a), though apparently he wasn't all that interested, which sadly may not have kept him from being poisoned. Hassan was replaced by his brother Husayn. By this time, it had come to outright warfare between Sunna and Shi'a, and Husayn was killed in battle. His head was thrown over the wall of the town of Karbala, where he was mourned in drastic fashion. Now, please don't take what I'm about to say beyond the specific words with their qualifications. Husayn took on a character similar to a savior-figure. To this day, on the tenth day of the month Muharam, Shi'ites observe his martyrdom by self-flagellation, often with chains or sharp objects tied to whips, and they repeat a chant whose translation is similar to "With his blood we are healed." This is a redemptive analogy, but not a redemption because the people realize that ultimately there is no atoning value in Husayn's death, as Islam is not open to the idea of atonement. Nevertheless, with the commemoration of Husayn's death we come very close. Don't put your salt shaker away yet. One more observation along the same line: For some Shi'ites, at least, Ali and Husayn have become de facto just about as important as the prophet Muhammad. Please don't misunderstand. No true Muslim, Shi'ite or otherwise, would ever consciously admit to that fact, let alone publicize it, but as an outsider observing the way that Islam is being practiced among Shi'ites, it is clear that Ali and Husayn have extremely exaltedd standing. In fact, some heretical groups wound up deifying Ali. 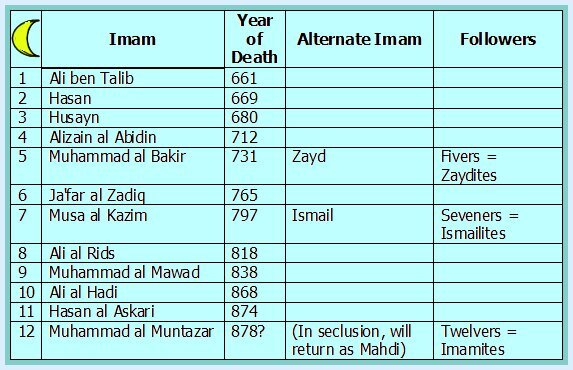 There were exactly five, seven, and twelve Imams. No, that doesn't mean that there were twenty-four, but it means that the Shi'ites split several times, and the subgroups are designated by which Imam they consider to be the last official one. Who killed Ali ben Talib? Well, there is no mystery about that, at least in general terms. It was a member of a group called the Kharijites. "Kharijites" means something like "those who walked off" and they definitely wanted to be seen as separate from all other Muslims. Remember, we're only within decades of Muhammad's death, and we already have three influential groups: Sunna, Shi'a, and Kharijites. The Kharijites were looking at what was going on in the world of Islam and said that things were headed in the wrong direction from what Muhammad must have wanted. The prophet had taught that all men were equal; yet here were the Umayyads claiming for themselves the hereditary right to be caliphs, thereby establishing a new nobility. The Shi'ites weren't much better with their claims of descent from the prophet as being special. Surely this was not what prophet Muhammad had intended. The Kharijites insisted that the caliphate should not go to whoever had the most impressive outward credentials or pedigree, but to the person who is the best Muslim--"even if he were an illiterate slave boy," as they put it (a little hyperbolically, no doubt). Thus, the Kharijites believed that the people who were calling themselves Muslims, including even the so-called rightly-guided caliphs and Muhammad's Companions, had swerved off the straight path, and --consequently--were no longer true Muslims at all, but were hypocrites. Now, if there is one thing that you don't want to be, according to the Qur'an, it is a hypocrite. Being a hypocrite is even worse than being an idolater. 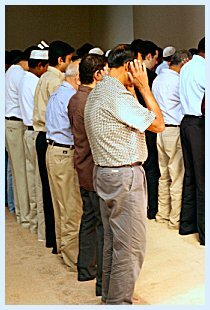 4:142: "The Hypocrites—they think they are over- reaching Allah, but He will over-reach them: when they stand up to prayer, they stand without earnestness, to be seen of men, but little do they hold Allah in remembrance. . . . "
Jews and Christians are bad; but they are allowed to live and practice their religion so long as they submit to the Muslim government and pay the special tax for unbelievers, the jizyah. Idolaters and polytheists are bad; and they cannot continue to practice their religions. Even though the Qur'an prohibits conversion to Islam by force (2:256), these people would definitely be de- converted by force from practicing their present religions. Just think of how in March of 2001 the Taliban obliterated two huge statues of the Buddha, the Banyam Buddhas. Hypocrites are the worst. So-called lapsed Muslims fall under that category. By the way, this is an important point to help us understand certain events in the past. This, then, was the most important characteristic of the Kharijites: they believed that anyone who did not live up to their standard of what a true Muslim should be was not just a bad Muslim, but was no Muslim at all, and, just as a non-Muslim hindering the Muslim cause must be killed unless he repents, so must any pseudo- Muslim. Given the situation at the time, those who would become the Kharijites were supporters of Ali, the less offensive of the two candidates. However, when Muawiyah, coming from the clan of the Umayyads, offered to negotiate with Ali, Ali reluctantly accepted the offer. This was too much for the Kharijites, and, as their name implied, they walked out on Ali. He, in turn, saw them as deserters and killed a number of them, but then, a short while later, one of them stabbed Ali to death. To summarize, the Kharijites were very strict Muslims who believed that Muslims who did not share their standard were no different from unbelievers. There has been a direct continuation of the Kharijite line in a small way throughout the history of Islam, and it is fair to call any group of Muslims who declare other Muslims to be infidels neo-Kharijites. 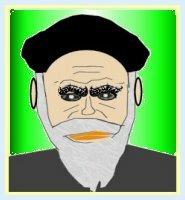 Did anyone catch on Friday's blog entry when I referred to the Ayatollah Khomeini as "stand-in Imam"? Therein lies the story of Shi'ite Islam. As we saw, at the beginning the Shi'ites were led by Ali, followed by Hassan (involuntarily), then Husayn, and subsequently a number of other descendants of Muhammad, each of them claiming the special prophetic powers and designation. They were called Imams, as opposed to caliphs. But there was a limited number of them, and the Shi'ites wound up splitting over who the proper Imam was at various points in the line of descent. Here is a chart of the line of Imams and the points of divergence. The Muslims whom we usually think of when we hear about Shi'ites are those who believe that there were twelve valid Imams. They are the Shi'ites of Iran, who also constitute the majority of Muslims in Iraq. They are called either the "Twelvers" or the "Imamites." If you look at the Imams' dates of passing, you may notice that each of them after Husayn ruled for a fairly decent amounts of time, except for the eleventh one, Hasan al Askari ("Hasan the Soldier"). Just like with Joash and Josiah among the Old Testament kings, this eventuality meant that a mere boy would have to fill a man's shoes. Actually, the brother of Hasan al Askari tried to claim the Imamite for himself, but the six-year-old boy showed up at crucial moments to assert himself. That's right; I said he showed up at certain times. Most of the time he was in concealment. His father and grandfather had been under house arrest, and he was hiding voluntarily for most of his life. Right after he had successfully assumed the position of Imam, he went to the bottom of an extremely deep well and lived there for a long time. He communicated with the outside world by way of four men, who were called "Babs," which means "Gates." Then around the time when the last Bab died, he went to a cave in the mountains, where he is living to this day and will eventually return to the visible world. Let me emphasize unnecessarily that this is a belief accepted only by Imamite Shi'ites. Other groups of Muslims, both Sunni and Shi'ite, do not buy into this story. This Imam in concealment has the name of Muhammad and he goes by a number of titles, most prominently, Muhammad al Muntazar ("Muhammad the Coming One") and Muhammad al Mahdi ("Muhammad the Guide"). Throughout Islam, on the level of common people, at least, there is the belief in the coming of a powerful reformer (just short of being a prophet), who will set the world right just before the last judgment. He is called the Mahdi. Among the Imamite Shi'ites, the Mahdi is Muhammad al Muntazar. In the meantime, the people are being led by a "stand-in" Imam. He does not have the prophetic powers or official designation of one of the true Imams, but he has been known to speak with the same degree of authority. As you can see on the chart, earlier on there were two times at which the line split. First, at link number five, there were supporters of Zayd, who formed their own group and became dominant in Yemen. Then there was dispute at point seven, where some Shi'ites thought that Ismail, was the proper Imam, and they followed him. The Ismailites became known as committed to spreading Islam by violence, a doctrine that they finally repudiated at the beginning of the twentieth century. So, you can see that Shi'ite ≠ Shi'ite ≠ Shi'ite. There are three main groups of Shi'ites. Of those, the Ismailites wound up spawning some very strange off-spring, who will be our subject matter for the next time. I'm going to have to jump right into my topic, or I'm never going to get it done. Tracing the various groups of Ismailite Shi'ite Muslims requires a flow chart, but not just a simple array of names, arrows, and lines. When I say "flow chart for the Ismailites," I'm thinking more of a waterfall. (There is a waterfall flow chart at the end of this very long entry.) So, in the hope that things will not get too confusing, I will have to stick only to the main lines of development. The sixth Imam was Ja'far al Zadiq. He became Imam shortly after the Abassid dynasty had displaced the Umayyads on the Sunni side. In order to overthrow the Umayyads, the Abassids had recruited the Shi'ites for their cause, luring them with various promises, particularly that they could share power. However, once the new Abassid caliph was securely on the throne, they went back on their promises and left the Shi'ites in their former state. [They had to; they were politicians.] It was up to Ja'far to deal with the fall-out. Ismail was no longer alive by the time of Ja'far's death. Ja'far just plain changed his mind . Ja'far once caught Ismail in a state of intoxication and disqualified him from becoming Imam. Needless to say, Ismailites repudiate these ideas and maintain that Ismail was alive and ready to take up his duties as Imam. They say that an Imam always spoke with infallibility, and, therefore, could not have changed his mind capriciously. For a similar reason, it is impossible that Ismail could have been drunk, in violation of the Qur'an. But how could anyone be confused on whether Ismail was alive or not? Remember how we said the other night that supposedly the twelfth Imam, Muhammad al Muntazar, spent his entire life in concealment, and, in fact, is still alive and in hiding. The preferred word in English is that he was in "occultation," which simply means hiddenness, so we'll go with that from now on. By the time of Muhammad al Muntazar, occultation was not a new concept because it had already been used in conjunction with Ismail as well as his son. If Ismail wasn't visible at the time of succession, he might have been in occultation. Some Ismailites believe that to have been the case. Others think that Ismail was there and was visible, but it was his son, Muhammad ibn Ismail, who went into occultation with the purpose of making a future appearance as the Mahdi. But wait! Doesn't that make eight Imams for the Seveners? Well, no, because the Ismailites do not count Muhammad ibn Ismail as an Imam. Furthermore, they also do not count Hassan because they say that the Imamite always passes from father to son and never from brother to brother. By adhering to this principle, they also can contend that, even if for some reason Ismail had not been eligible to be Imam, the next Imam should then have been his son, Muhammad, and not Musa al Kazim. Nevertheless, if they count neither Hassan nor Muhammad ibn Ismail, they only have six Imams, but I guess that having the number that others assign to them may not be a priority for them. Furthermore, they pick up the count again; in contrast to the Imamites, the Ismailites count subsequent Imams as well. The official line ends with the twelfth Imam. The line continues and becomes known as the Fatimids. The Ismailite movement gained quite a bit of momentum. It appealed to those who did not get any benefits of being associated with either the Abassids or the Imamites, the down-and-outers in the cities and the Bedouin in the desert. The leaders called themselves Fatimids because they claimed their descent was directly from the prophet Muhammad, by way of his daughter Fatima, who had been married to Ali. The Ismailites did not mind fighting in order to establish a community for themselves. They finally did, and it was in North Africa west of Egypt in the area that is now Libya and Algeria. The Imam at the time was appropriately called Abd Allah al-Mahdi. Subsequently, they fought their way back east and founded the city of Kairo, which became their capital, and their leader now called himself Caliph. But, of course, they did not just live happily ever after. The next crisis came with the death of the Imam al-Hakim Bi Amr Allah. This Imam had easily as high a view of the Imamite as anyone ever did. Sometimes he got confused as to whether he was just a human being or also God. One evening he went out to ride on his horse and never returned, though his horse did, covered in blood. Most people assumed that al-Hakim had died and followed the next Imam, named al-Zaher. Some, however, did not accept that idea, but maintained that----you know what's coming----he was still alive, but had gone into occultation. This latter group became known as the Druze, who are nowadays concentrated in Syria, Lebanon and northern Israel. They claim Moses’ father-in-law Jethro as their spiritual founder and strongly emphasize monotheism, going further than most Muslim groups in purging their references to Allah of any anthropomorphisms. They do not observe the common Muslim fast, but more than make up for it with very strict rules year-round. The orthodoxy of the Druze is sometimes questioned. Two other groups are definitely heterodox. They also arose out of the Fatimid segment, but realigned themselves with the Twelvers, not that doing so contributed to their orthodoxy. These two groups, who even are similar in name, but who should nevertheless not be confused with each other, are the Alevis in Turkey and the Alawites in Syria. Doctrinally, they share an extremely high view of Ali. The Alevis treat him as though he were divine, and the Alawites definitely worship him as divine along with two further members of a trinity: Muhammad and Muhammad’s friend, Saliman al-Farsi. Another crisis, another split. When the Imam called Mustanser Billah died, his designated successor was a man named Nizar, but there was a coup, and his own brother, called Muta'li, took his place. The followers of Muta'li are called Bhoras and those who remained loyal to Nizar are also known as Khojas. Both Ismailite groups established themselves in the East, viz. Pakistan and India, and they also continued into the areas of heavy South Asian emigration, such as East Africa and North America. The Khojas, whose Imam goes by the title of Aga Khan, have adopted a totally quietistic way of life. They are by far the larger of the two. I have left out a large number of splinter groups, but I think you now get the picture of why I said that the flow chart for Ismailism is reminiscent of a waterfall. 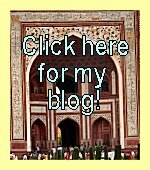 A few more words about Ismailism. I gave the historical development last night, but didn't mention the important theological distinction of the Seveners. They set themselves apart to a large extent by the way in which they interpret the Qur'an. The four schools of Sunni shari'a, as well as the Imamite Shi'ites essentially remain with a literal interpretation of the Qur'an, no matter how much additional weight they give to the hadith (tradition). The Ismailites claim that there are two levels of interpretation: the literal meaning, which is available to anyone, and a deeper, mystical meaning (bati), which is available only to the inner circle of the initiated. Consequently, it may occur that the Imam (e.g. the Aga Khan) may interpret a verse of the Qur'an in such a way that it appears to contradict the plain meaning of the verse. This may be very confusing, but his word is supposed to be absolute, and everyone is expected to accept what he says. Let's go back to the Sunni side of Islam and discuss the four schools of Islamic law, the shari'a. We need to keep the following point in mind: If we were talking about Christianity, I would protest and say that it doesn't make any sense to broach actions and jurisprudence until we have acquainted ourselves a little more with theology. However, with Islam (and, for that matter Judaism), practice is more significant than beliefs in the distinctiveness of various schools, and so it's more logical to discuss the four schools first. The differences between the four schools are not glaring. They have to do with the relationship between the Qur'an and the Hadith (tradition) coming to a legal conclusion. I need to clarify some terminology so that it will make sense at all. Unfortunately, this can get a little confusing. We've met the term "Sunna" to refer to the majority of Muslims, as opposed to the "Shi'a," the minority party that followed Ali ben Talib. Now we need to learn another usage for that term, namely the content of the Hadith that refers to the example and words of the prophet Muhammad, which is virtually all of it. So, if I'm an Islamic jurist and I need to solve a legal problem, I need to consult the Qur'an and the Sunna (with the meaning of Muhammad's example). To make sense of their relationship, I may make reference to any prior consensus (ijma) and possibly analogies (qiyas). The outcome of my reasoning is my legal opinion (fiqh), which I may then apply by issuing a fatwah. Let's list the four schools in chronological sequence, which also coincides with the number of their adherents. Founded by Abu Hanifa an-Nu‘man ibn Thābit (A.D. 699 - 767). Considered to be the most liberal of the four schools because it uses more inference and reasoning than the other three. The jurist focuses on finding analogous cases to the one with which he is concerned. 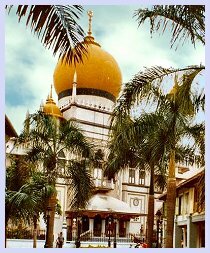 Founded by Muhammad ibn Idris ash-Shafi`i (A.D. 760- 815). Rejects use of analogies, but looks for precedents. A Sunna is acceptable only if it is directly by Muhammad and was passed on by him. Malik thought that the most reliable information would come from those who were "Companions" of Muhammad, most notably the first four caliphs (Abu Bakr, Umar, Uthman, and Ali), and from the first three generations of the citizens of Medina, where Muhammad lived for a decade. The latter constitutes a "living Sunna." The idea behind this viewpoint is that the people of Medina would not practice anything that was contrary to Muhammad's intent. This is the smallest school and the most conservative. It is also of greatest interest to us because it is the foundation for Wahhabite Islam (or Salafi, as they prefer to be called). Thus, even though its followers assert the contrary, this school of legal interpretation is also more closely tied to a specific theology than the others. Ahmad bin Hanbal taught five principles of interpretation. 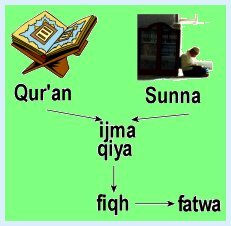 The Qur'an and sunna are sufficient in many cases, and then one should not look any further. If there is a ruling by one of the Companions, it trumps any later traditions. If the Companions had differing opinions, prefer the one that is closest to the teachings of the Qur'an. If the first three principles don't lead to resolution, use a "weak" hadith (viz. one that doesn't stand alone). As a last resort, analogy is permissible. The first time that I read the claim that British Common Law (the system under which we live in the U.S. as well) could be derived from Islamic shari'a, I thought that the idea was silly. The idea is that the Normans learned the Islamic system during the crusades and brought it back home with them and implemented it in England. I can think of numerous reasons why the notion of influence is not plausible, but after a bit of reflection, the idea seems to me not to be totally out to lunch. The parallels are impressive. A lawyer under our system tries to win a case by looking for precedents to his or her side of the case and show why other cases do not constitute genuine precedents. As we have seen, in many ways that's also the way shari'a works. Now let's get back to one of the earlier philosophical Islamic groups, the Mu'tazilites. Let us recall now that for the next little while we won't be talking about the practice of Islam but the theology of Islam. It has been said with regards to Christian theology that orthodoxy wound up being defined, not by itself, but as a reaction against clearly unacceptable alternatives, which were then declared to be heretical. For example, the church got serious about accumulating the canon in the face of Marcion who only allowed the gospel of Luke and a few of Paul's letters; the Council of Nicaea defined the orthodox view of the Trinity against the heresy of Arianism; Luther clarified salvation by grace through faith in reaction to the excesses brought on by the medieval via moderna. Let there be no compulsion in religion: Truth stands out clear from error. 1. The Createdness of the Qur'an. The Mu'tazilites reasoned that God, being greater than anything else, could only be the one and only eternal being. Therefore, the Qur'an must be created, just as everything else. 2. God's Necessity to Act According to his Attributes. The Qur'an affirms very clearly that God is just, merciful, beneficent, and so forth. Consequently, given that revelation, it should be possible to state what we know he will do on the basis of his attributes, though not what Allah must do. 3. Human Free Will. God has given us many commandments, including things that we must do (farad), those that are permitted (halal), and those that are forbidden (haram). Now, it would not make any sense for God to lay such regulations on us, if our actions were already predestined. To have a moral obligation implies a moral choice, and to have a moral choice implies moral freedom of choice. These are the three of the most controversial tenets held by the Mu'tazilites. Controversial? Yes, very much so. We shall see next time how the rest of the world of Islam reacted to these thoughts. Before we get there, however, let me address one particular thought. Not too long ago I was writing an essay on the worldview of Islam, and I brought up some of the pretty much universal issues that beset the Muslim mind. At various points, the publisher's external reader kept insisting that the problems I was bringing up were already solved by the Mu'tazilites. He may have been right, but what difference does this make if it turns out that the Mu'tazilites are a marginal, if not heretical, group among the majority of Muslims? It's as though I were saying that there is a problem in Christianity concerning our worship on Sunday rather than on Saturday (which there is not--or at least shouldn't be). Now, someone might very well insist that this is no problem for Seventh -day Adventists, but how does that help? If I were describing a general problem with Christianity as a whole, paying deference to one particular group that does not have that problem would not be very helpful in my depiction. Similarly, even though Mu'tazilism has become fashionable once again among certain Muslim intellectuals, it is also the case that most of Islam went into a different direction. that human beings must have a free will, so that their choices have genuine moral significance. Now, I already hinted last night that as undramatic as these three propositions seem to be, there would nonetheless be a great amount of controversy surrounding them. In fact, as I already also indicated, ultimately the Mu'tazilites were declared to be inimical to Islam, if not outright heretical. Nevertheless, the movement did last a good two centuries, and has experienced revivals from time to time, including the present. It is always an intriguing question of who it is that it becomes instrumental in overthrowing a particular movement. Is it someone from the outside or is it someone from within the movement? It is clear that we cannot draw up a hard and fast rule, which, needless to say, bothers the German part of the scholar in me. Still, I think it would be a fascinating sociological study to find out if in the majority of cases revolutions in religious or conceptual movements come from the inside or outside, and how large such a majority would be. One thing is clear: the sixth century BC worldwide rebellion against priestly-dominated religions . . . . .
. . . . No, that's not right. I was about to say, "was almost entirely led by people outside of the religious establishment," but actually that's not true. On the outside we find Gautama Buddha, Mahavira, Laozi, and Confucius. But the Jewish prophets Jeremiah and Ezekiel were both priests, and so was Zoroaster. Furthermore, apart from the excerpts that make it into the customary anthologies, most of the Upanishads are connected to the priesthood and the proper ways of performing the ritual sacrifices. So, the big picture leaves us with a tie. Anyway, I am definitely digressing, so let me get back to the point if I can recall what it was. The Qur'an is not created, but neither is it a second eternal being alongside Allah. It is eternal, but not apart from God, because God is eternal, and the Qur'an has always existed in the mind of God. No matter how much Allah has disclosed concerning himself, it is up to us to believe it, but never to draw inferences from these revealed truths. For example, I know that God is merciful, but knowing so does not give me the right to say that, therefore, he will be merciful to me. We may memorize all of the attributes of Allah, but we may not apply them in individual cases. Everything that happens, happens according to the will of Allah. In its full-fledged Ash'arite form this statement goes much further than compatibalism or soft determinism. It is an all-out determinism in which all events, including all human choices, are already established by the will of God. Muslims refer to it as Qadr, which literally means "power" because not to hold to the tenet* that God controls everything is to deny his omnipotence. They demonstrate the heritage and future potential of a clear-headed Islam that is not afraid to ask questions. They are definitely Muslims, but not Sunnis, and are thus one step removed from the mainstream of Islamic orthodoxy. They are on the edge of teetering into heresy, but since they are faithful in observing the rules, they are still Muslims. It is certainly no surprise that the Ash'arites also joined themselves to the Hanbilite school of shari'a, thereby creating the possibility of a fairly conservative and potentially neo-Kharijite force, which will continue to speak for Islam until others speak more loudly and do so without compromising their credibility. *Would everyone please take note of the fact that a belief or doctrine is a tenet and that a tenant is a person taking up residence in a given place, e.g. someone who lives in an apartment. The pope is the tenant of the Vatican, where he defends the tenets of Catholicism. Tonight we switch back to our other series, the various subgroups of Islam, and we have finally arrived at the point that has everyone intrigued: Sufism. This curiosity must be due to the "New Age" conversion of this highly rigorous and demanding form of Islam into the ecstasy of a cheap pantheism. 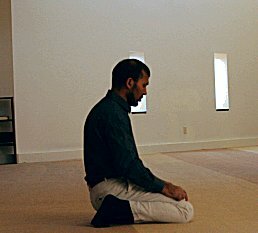 There are many parallels between Sufism in Islam and Kaballah in Judaism, not necessarily in their details of beliefs and techniques, but because both of them supplied a facet of personal piety to what might otherwise just have been a dry, legalistic religion. Both Sufism and Kaballah made themselves be felt on the level of the common believer, but both of them really apply most strictly to the initiated. What comes to your mind when you hear the word "Sufi"? Perhaps it's Danny DeVito in Jewel of the Nile (1985) walking over the hot coals in order to become one of "us," where "us" is supposed to be a Sufi brotherhood, led by the "Jewel" (Avner Eisenberg), whose main spiritual practice appears to be some fairly nifty juggling. Maybe it's the whirling dervishes who have made a public display of their piety and aspirations for a long time. Or perhaps you immediately think of some of the poetry that was written a thousand years ago by folks who were known as Sufis. The hitch is that in some way all of the above (though not specifically Danny DeVito to the best of my knowledge) could very well be associated with Sufism. It has followed Islam wherever Islam has crossed national and cultural boundaries and has taken on particular the cultural attributes endemic to its new host culture. However, its beginnings were neither glamorous nor entertaining. A religion with a strong moral code is bound to produce a certain amount of casuistry, and, if left unchecked, the casuistry can very easily wind up draining the spiritual blood out of the religion, so that no one has any particular spiritual joy any longer, but everyone is concerned with doing the right things in the right way lest they accrue ever-increasing amounts of punishment. People want and need an outlet for their spiritual capacity, whether the object with which they fill it is real or unreal. Things get even worse if the common people are slaving away at a legalistic religion while they see their supposed leaders are taking it extremely lightly and are ignoring the very same moral code. As a result groups will form who will attempt to supply what is lacking spiritually in the otherwise purely ethical form of the religion. So, the Sufis came about as a reaction against both the aridity of legalistic Islam and the excesses of the caliphate. The word "Sufi" is supposed to be derived from the word for wool because apparently these early Sufis wore plain woolen clothes, an indication of the simplicity of the life they had adopted. They practiced all of the normal demands of Islam rigorously and in addition placed strong ascetic requirements upon themselves. Their lives were very similar to those of monks in Christendom during the same time, except they had one other variable to deal with, namely the threat of persecution by mainstream Muslims. In order to fully understand the jeopardy involved, one must realize that Islam goes to great lengths to stress the transcendence of Allah. Obviously he has some imminence, or he could not work in the world at all, but the further one separates God from the world both in quantity and quality, where God has everything and the world is purely dependent on him, the nearer one gets to the common, Ash'arite, picture of God in Islam. In contrast, the Sufis' goal was to obtain union with God. This was an audacious goal for this Sufi and potentially blasphemous one in the ears of non-Sufi Muslims, a breach that led to some bloodshed. Not that the Sufis made it any easier on themselves because they often expressed the concepts of unification with God or being in the direct presence of God with language that essentially meant being identical with God -- a huge distinction, though for many people an unnecessarily subtle one. Interestingly, this is the same problem that Meister Eckhart ran into in the 14th century. After all, person A can be united with person B without A becoming the identical person as B. But if A says that he has become B, even though he may only mean that he has become united with B, he has to take some of the blame for how people are going to react to what he is saying. Or, to put it yet another way, if you believe in theism and not pantheism, then you're best off not teaching pantheism because people may not be able to read your thoughts behind your words. Well, enough of the advice column part of this exposition, let me summarize the basic facts about Sufism. 1. Sufism crosses the boundary between Sunna and Shia. On the whole it drew more from the Shi'ites than from Sunnis, but both doctrinally and devotionally it transcended this division. 2. At least in its original form Sufism was a very rigorous ascetic collection of pious followers of Allah's commandments. 3. In distinction to other Muslim groups, the Sufis believed that it is already possible in this life to be in the presence of God, a state of bliss that is usually in most Muslims minds, reserved for heaven. 4. In order to attain this bliss one must become absolutely pure. 5. Purity is attained through total obedience to God, to one's spiritual master, and to one's order. For about two centuries Sufism and mainstream Islam (both Shi'ite and Sunni) were not at peace with each other. Early persecution and execution of Sufis had given way to an uneasy tolerance. The gap was finally bridged by a person who is beyond doubt one of the great thinkers of Islam, Abu Hamid al-Ghazali (1058-1111). Coming originally from an Ash'arite background, he felt stifled and explored various other options, including Sufism. In fact, al-Ghazali never met a philosophy from which he did not glean something, and he added new thoughts without necessarily discarding old ones. So, his embracing of Sufism did not imply a repudiation of his earlier conservative Islam. 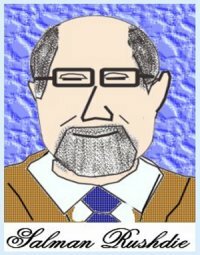 All of this sounds as though al-Ghazali was creating an eclectic muddle, but what actually emerged was a fine-tuned synthesis in which the orthodoxy of mainstream Islam was preserved and Sufism provided the spiritual fire that people needed so as not to be simply stuck in the rut of legalism. It would be going too far out on a limb to say that al-Ghazali thereby saved Islam (because it did not show any signs of collapsing), but he definitely contributed to the soul of the religion precisely by finding its soul and nurturing it. As we said above, Sufism wound up taking on many different expressions, depending on the particular order and the specific geographical locations of the various orders. 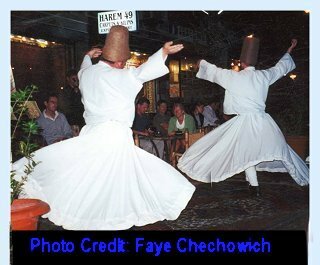 One of the best known orders are the Whirling Dervishes, who are at home in Turkey, and who believe that their personal rotations spinning on their own physical axis contributes to their attaining closeness to Allah. As the pictures taken by my friend Faye C. demonstrate, they are clearly combining personal devotions with free enterprise and tourism. It's not as though the NPP has had much credibility for quite a while now. But at least there has always been a rationale, no matter how twisted, for awarding it. At least Yassar Arafat, for example, made some meaningless gestures. Jimmy Carter put in many years of campaigning for the prize. (See, the inset for observations of a couple of years ago.) At this point, what else can one do than to congratulate President Obama on receiving (using an Indian political expression) a "scheduled" prize. Congratulations, Sir! Since it's not cached on the web, allow me to reproduce my sentiments of two years ago: So, Al Gore won the Nobel Peace Prize, along with the U.N. Panel on Climate Change, for his work on publicizing global warming. The Times of London reports that predictably the Democrats are interpreting the award as a rebuke of President Bush, who does not share Gore's views. The Nobel Peace Prize has been somewhat questionable off and on anyway. It is instructive to look at the list of former winners and consider how many laureates were of rather dubious character, who received the prize for some single gesture, which the rest of their entire lives repudiated. Yassir Arafat and Menachem Begin both were leaders of terrorist gangs. In his autobiography, written after his meetings with Begin, Anwar Sadat still gloried in the destruction he had caused by the Yom Kippur war. Mikhail Sergeyevich Gorbachev couldn't keep the Soviet Union together, even by taking military action against Lithuania; so, after losing the Cold War, he was given the Peace Prize for ending it. That's kind of like giving it to Hitler for ending World War II (which, I hasten to clarify, did not happen). The man who stood in Berlin and said, "Mr. Gorbachev, take down this wall!" and who really ended the Cold War, was overlooked. What I'm getting at is that the Democrats who are using the Prize as a jaded piece of propaganda are not really cheapening it; sadly, they are acting entirely in accord with the ideology that seems to be intrinsic to the Prize. So, the bottom line is that I shall not devote this entry to the Nobel prize. Instead, let me talk about the Islamic group(s) that should receive the Nobel prize, namely the adherents of Ahmadiyya Islam. What follows is a rescension of an article in a dictionary on religious sects that may eventually be published by Baker Book House. Ahmadiyya is an Islamic sect based on the nineteenth-century reformer, Mirza Ghulam Ahmad (1839–1908 ), who proclaimed himself to be both messiah and Mahdi. Mirza Ghulam Ahmad lived in the Punjabi region. He was born in 1835 in a small village called Qadiyan. Ahmad first came to the attention of the greater Islamic world in 1880 with the publication of an exposition entitled Barahin-i-Ahmadiyya (The Blessings of Ahmad). I should clarify that Ahmadiyya (and consequently the name of the movement) does not actually refer to Ghulam Ahmad, but to the prophet Muhammad. A few years later Ghulam Ahmad announced to the world that he was the Mahdi as well as the second coming of Jesus Christ. This version of the Mahdi is not the same as the Shi’ite one, where the Mahdi is the returning Imam, presently in occultation. Here it refers to the general belief that shortly before the last judgment a great leader will appear who will establish Islamic peace and justice all over the world. Sometimes this belief is also associated with a second coming of Christ alongside the Mahdi. Ghulam Ahmad professed that he was both. Now, we need to be careful to understand what Ghulam Ahmad probably meant with these assertions. His claim to be the Mahdi was unbending, and there is no question that he saw himself as having fulfilled the prophecies of Christ’s second coming. But this latter contention did not mean that he thought he was Jesus Christ as understood by Christians, that is to say the incarnate second person of the Trinity. Rather, it meant that he, the Islamic Mahdi, also fulfilled the Christians’ anticipations of their future hope. A few years before his death, Ahmad added to his claims by stating that “to the Hindus I am Krishna.” But again, what he most likely meant by that statement was simply that he fulfilled Hinduism’s expectations of Krishna’s return (or a little more accurately, a future incarnation of Vishnu, as promised in the Bhagavad Gita), not that he was a Hindu god—an idea totally inconsistent with his devotion to Islam. Ghulam Ahmad attracted a sizable number of followers, who had to undergo an initiation ceremony (baya) into his movement, which consisted of taking a vow of unyielding adherence to Islam, as well as obedience to Ghulam Ahmad, and the latter would take precedence over all other human relationships. He taught his disciples to be strict in their observances, to relate to each other with love, and to avoid violence at all costs. The Qur’an, as Ahmad and his subsequent movement interpret it, never permits physical violence, let alone a military jihad, no matter how dire the circumstances may be. Soon after Ghulam Ahmad died, dissension among his followers surfaced, and in 1914 a permanent split occurred,over the issue of the identity of Ahmad himself. No one questioned whether he was the Mahdi and messiah, but did that make him a full prophet? If so, he would be on a par with Muhammad, and all Muslims would be obliged to follow him. If not, he would simply be a great reformer, and the movement could retain partnership with Muslims around the world. One side took the more radical view that Ghulam Ahmad was, in fact, a prophet, and that his movement was the only true expression of Islam. This group has become known by Ahmad’s town of birth as the “Qadiyanis.” Their leaders claim the title of “caliph”; they believe that only those who recognize Ahmad are genuine Muslims. Everyone else is kafir, an unbeliever. Consequently, Qadiyani Ahmadis are not permitted to identify themselves as Muslims in Pakistan. 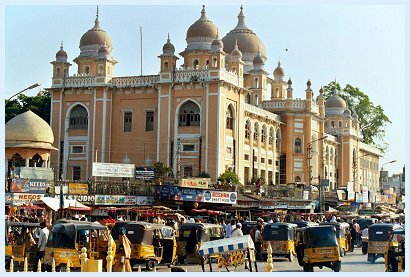 The other group came to be known by the name of the city that houses their headquarters, Lahore, Pakistan. The Lahore group emphasizes the need for a pure, reformed Islam as taught by Ghulam Ahmad, but it identifies with mainstream Islam. They take the view that Ahmad was a reformer only, and that Muhammad was the last genuine prophet. Both groups of Ahmadis are very active in attempting to reach new converts. In the context of the early twenty-first century, when many Muslims are attempting to rationalize or excuse acts of terrorism that have been committed in the name of Islam, the Ahmadiyya movement can claim greater credibility because of its consistent renunciation of violence. Note: I wrote the last two entries prior to beginning the series, but there seemed no need for me to rewrite the material, despite some slight differences in format. One item that I pursued this week was the ideological basis for Muslim extremists. My students know that I think they should not be called"fundamentalists," let alone "Puritans," since those are terms that have straght-forward meaning only in Christianity, but "neo-Kharijite." The term is derived from a group called the Kharijites, who appeared very early in the history of Islam in the original struggle for succession to Muhammad. Specifically, they believed that identifying Muhammad's succesor should not be based on social standing or genealogical lineage, but entrirely on how devout someone was as a Muslim. The Kharijites held that anyone who did not agree with them was a lapsed Muslim and, consequently, should be treated as an infidel. For the warm-hearted Kharijites that meant that they could or should be killed, a doctrine that they demonstrated by stabbing to death Ali ben Talib, Muhammad's own son-in-law. The neo-Kharijites, then, are Muslims who follow the pattern of the original Kharijites by stipulating that those Muslims who disagree with them are no longer true Muslims and should be killed for their apostasy. 73. O Prophet! Strive against the disbelievers and the hypocrites! Be harsh with them. Their ultimate abode is hell, a hapless journey's end. 74. They swear by Allah that they said nothing (wrong), yet they did say the word of disbelief, and did disbelieve after their Surrender (to Allah). And they purposed that which they could not attain, and they sought revenge only that Allah by His messenger should enrich them of His bounty. If they repent it will be better for them; and if they turn away, Allah will afflict them with a painful doom in the world and the Hereafter, and they have no protecting friend nor helper in the earth. Note the phrase that their painful doom will occur "in the world" and "the Hereafter." It comes down, then, to asking who should be considered to be to be lapsed or hypocritical, and--as I intimated above--some groups make it very easy on themselves, using their own preferences as a handy standard. Now, groups like al-Qaeda are not necessarily tied to any one school of interpretation. For them the all-important concern is that people will submit to their authority, which embodies the authority of Islam, rather than what the content is that they submit to. In other words, al-Qaeda is not a religious sect per se, but a group that sees itself as representing pure Islam in the sense that it requires full submission to Islam of all people, which becomes synonymous with full submission to them. Thus al-Qaeda is fundamentally different from, say, the Taliban, who are tied to the Wahabbi reform movement, which began in Arabia in the eighteenth century, and which was based on the most conservative of the four schools of interpretation, the Hanbalite school. And furthermore, al-Qaeda and other Neo-Kharijites follow the counsel of modern Islamic ideologues, the ones to whom President Bush referred to as Islam-Fascists. 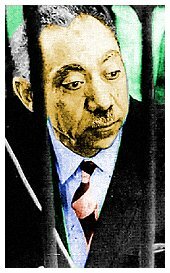 The most prominent among these writers is Sayyid Qutb, who was executed in Egypt in 1966 because of his alleged involvement in a plot to assassinate President Gamal Nasser. It has become pretty clear that Qutb's thought is the ideological basis for the activities of Osama bin Laden. Qutb believed that the so-called Islamic world in the twentieth century is in no different a state today than the Arabian world prior to Muhammad. This is to say that for the most part contemporary Muslims are no different from unbelievers and idolaters. Qutb then went on to say that Islam nowadays needs to return to the same strategy it used in the first few decades of Islam, that is to say, to wage aggressive war and to engage in offensive jihad in order to spread Islam. Yes, I know. What I just said is indeed very different from what we usually hear about the concept of jihad. Usually we are told that jihad is primarily an internal, spiritual struggle, and that, if it has to refer to physical warfare, then it is only under some very specific conditions, which add up to the principle that only certain defensive wars are allowed. Furthermore, many Muslims take great exception to the idea that Islam was originally spread by means of aggressive military actions. However, Qutb and some other contemporary writers not only concede that the early expansion was being carried out by offensive warfare, but they embrace it and say that offensive jihad sets the blueprint for what Muslims should be doing today. Qutbism and other similar ideologies endorse the notion that the obligation to carry out offensive jihad includes both apostate Muslims (virtually the entire world of Islam) and non-Muslims as targets. Why, then, if Qutbism is the basis for al-Qaeda and similar organizations, do we not hear of more of acts of terrorism being perpetrated against Muslims rather than seemingly almost exclusively against non-Muslims? The answer is entirely pragmatic: If one carries out acts of violence against other Muslims, no matter how hypocritical these supposed Muslims may be, the Islamic world would split, and everyone would be in survival mode. On the other hand, if the "true Muslims" perform acts of violence against non-Muslims, these actions may also be sufficiently impressive to engender motivation for other Muslims to fall into step behind them, and, if there should be retalliation, such measures would probably engender sympathy. Thus, even though theoretically, hypocriticalMuslims should be targets of aggressive violence just as much as non-Muslims, pragmatically it works a lot better to keep the bombs directed outside of Islam. For a few of my readers this is a rerun insofar as they've at least seen various parts of this little essay as separate items. But, partially in response to a Facebook discussion last week, let me pull together a number of items and then draw an analysis (not a prediction!) concerning the next few years. First of all, a brief working definition. By "radical Islam" I mean groups (i.e. not individuals, but sets of people with a corporate identity), who are willing to take extreme measures, e.g., terrorism, physical jihad, etc. in order to further their perception of the cause of Islam. Radical Islam can be represented by entire countries (e.g. Iran, or Afghanistan under the Taliban) or organizations, e.g. the Muslim Brotherhood or Al-Qaida. Some of these organizations may receive direct support from some countries (e,g, Iran) or indirect support from individuals within non-Muslim countries acting as individuals (e.g. from some Muslims in the United States). Some Muslim countries hold to a very strict form of Islam, e.g., Wahabbism in Sa'udi Arabia. They may be considered neo-Kharijites insofar as they consider everyone else to be a lapsed Muslim. Muhammad ibn Abd-al-Wahhab did so in the eighteenth century, and so did King Abdul Aziz ibn Sa'ud when he first took over in the 1930s, but it is not clear to me whether that term should be applied to the Islam of Sa'udi Arabia today. On the other hand, the Taliban, the direct offspring of Wahhabism, were definitely neo-Kharijites. The most extreme among the radical groups of Islam, e.g. al-Qaida, are neo-Kharijite in a sense, but they are more concerned with the world dominance of Islam than with specific interpretations of the Qur'an. So, they are not Wahhabites. They are ideologues, fueled by writers such as Sayyid Qutb, Milestones. They are committed to nothing short of Islamic hegemony over the globe. Qutb and his followers and emulators held in typical neo-Kharijite fashion that most of the so-called Islamic world is not truly Islamic, but also subject to their destruction. This point, by the way, explains why radical Muslims did not give a rip about the fact that there were Muslims working in the World Trade Center on 9/11/01. By their definition, anyone employed in the system represented by the twin towers could not possibly be a genuine Muslim. Even the most common standards of right and wrong do not apply for Qutbites if they are not expedient. So, then, why are most of the terrorist attacks limited to non-Muslim countries. Shouldn't lapsed Muslim countries get their equal share of bombs? Theoretically, they should, but it is believed that Osama bin Laden and his colleagues made a deliberate decision on this point. Al-Qaida et al does not wish to fight on two fronts, but will continue to do what they can in the "West." Creating a split between the lapsed (we would say "moderate" Islamic) countries and those representing "true" Islam, though unavoidable in the long run, would only be counterproductive right now. Now, here comes the next crucial point. This delay in intra-Islamic confrontation does not mean that Osama has forgotten about the moderate Islamic countries. Rather, he and various other radical leaders are using a highly efficient propaganda machine in order to attempt to persuade the citizens of moderate Islamic nations to reject whatever positive relationships they may have with the West and move into the direction of the Qutbist/neo-Kharijite camp. The rules of jihad are frequently summarized as nice and tight injunctions (I do so myself), but they weren't even codified anywhere until the 18th century, and in the real world of radical Islam they are far more reminiscent of the mentality of, say Ché Guevara ("let's find an excuse to kill someone") than of Shari'a (Islamic Law). However, there is one item that is crystal clear in the murky waters of jihad, namely, that use of force is always legitimate when Muslims in a non-Muslim country are prevented from carrying out their basic duties, or, to put it another way, when the non-Muslim majority interferes with the Muslim minority in the exercise of their religion. 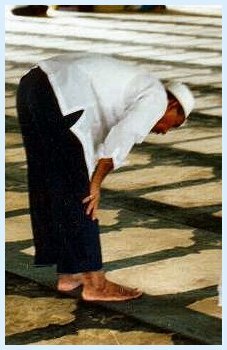 A particular point that is brought up in the Qur'an several times is that Muslims should be able to keep their regular times for prayer. To interfere with regular prayers is ipso facto persecution in the dictionary of radical Islam. In the light of these various ideas, what is the goal of radical Islam in the United States right now? I believe that one very clear one is this: to convince the moderate Islamic nations that the United States is inhospitable to Muslims, and that this country keeps Muslims from living full Islamic lives. In other words, they seek to place the United States into the position of perceived guilt on the most clearly agreed-upon cause for hostility. --- Now, please understand two things here: I'm saying that this is the goal of radical Islam in the United States; it is not the goal of all Muslims or Muslim organization in the United States. Second, I personally believe that, with the rare psychotic exception, this is not true of this country by a vast majority. Yes, there are people who have a problem with a Muslim population within our country, but--on the whole--we'd rather roll in Trojan horses than be perceived as inhospitable. So be it; we would rather err on the side of freedom. My friend, Dr. Sayeed Sayyid said that after 9/11 his organization "Islamic Society of North America" received hundreds of threatening phone calls---and thousands of supportive ones. Nevertheless, to come back to the agenda of the radicals, anytime that there is any kind of incident involving Islam in this country, distorted reports go out all over the Muslim world, demonstrating supposedly that the United States is repressing Islam. The more often this happens, the more likely the moderate Muslim countries will turn a blind eye on incidents like 9/11, and the less likely are they going to put any effort into capturing Muslim terrorists or to cooperate with the United States in other endeavors. Now, I'm assuming that we have a legitimate interest in maintaining workable relationships with moderate Islamic nations. Furthermore, as Christians, it is incumbent on us to establish cordial relationships with Muslims (technically, from the Muslim point of view, "friendship" is impossible), so that we can gain opportunities to share the gospel. This is not the point to discuss Muslim-directed evangelistic strategy; I'm just trying to think of ways of neutralizing the pernicious influence of radical Islam, and, to be honest, I don't see how we can do even that. However, we can act in such a way so as not to contribute to the problem. Get to know Islam. On quite a few occasions, Christians have given me their bibliography of books on Islam and asked whether there were any good titles missing. Considering that the list consisted entirely of Christian books that were critical of Islam, the unsurprising answer was yes. For example, the list should include the Qur'an, the Hadith (both available at the Sacred Texts website) and any number of relatively objective or pro-Islam polemical secondary books. Frederick Denny, An Introduction to Islam would be a good example of the former, and Suzanne Hanneef, What Everyone Should Know About Islam and Muslims, of the latter. The point I'm about to make here addresses the issue of last week, and I'd be happy if my take on last week's events in Dearborn were all wrong. I love to be wrong on some things. Here, I'm not now going to talk about how our reactions can influence already on-going ministries, which is another important subject that I brought up in the discussion last week. Here I'm just taking the global approach. Let me state this as a basic principle: Please go out of your way so as not to add any grist to the radical Islamic propaganda mill. Yes, they may scare us, trample on our privileges (if not our rights), and attempt to provoke us. But let the Holy Spirit do his miraculous work in the situation so that you will come out of it looking like a "little Christ" (Christian) and not like a little Ali ben Talib. If possible avoid the media and governmental institutions because regardless of truth (i.e. conformity to reality), radical Muslim outlets will use the occasion to tell a totally unrecognizable version of the events all over the Islamic world. If you think I'm being harsh and unfair, please acquaint yourself with the works of Qutbism. There is lots more to discuss concerning radical Islam, and much is being discussed knowledgably. But I believe the general discussion still tends not to reckon with the fact that the moderate Islamic nations are often the intended audience of actions by radical Muslim (Qutbite) groups. That's why I'm focusing on that aspect in this entry.